Henry was born in Thatcham in early 1892, the eldest son and second child of Henry Edwin Breach and his wife, Ada Caroline (née Denness). He was baptised on 6 March 1892 at St Mary’s church, Thatcham. At the baptism his father gave his occupation as ‘engineer’, quite what this entailed is not clear although he does qualify it in the 1891 census to ‘Engineer Beaterman at Paper mills’. Presumably he was looking after machinery at the mills, which would most likely have been those at Colthrop to the east of Thatcham. During the early years of their marriage Henry Edwin sen and Ada lived in Thatcham Newtown (to the west of central Thatcham) but moved to West End, Brimpton ca 1904. Theirs was a productive marriage, they had at least 12 children – mainly girls: Mary Ann (1890), Florence Amy (1895), Winifred Ada (1897), Ellen Matilda (1899), Daisy Blanch (1901), Mabel (1903), Elsie May (1906), Ethel Elizabeth (1907), Alice (1910) and Rose (1910), but there were two sons, Henry Edwin (1892) and Frederick George (1893). 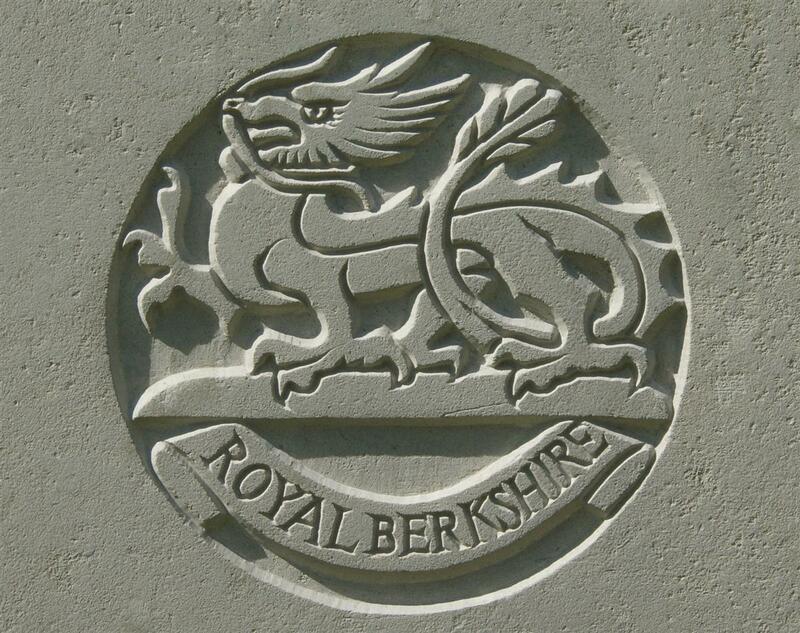 Henry decided early in life to experience the military life; he enlisted with the local regiment, the Royal Berkshires, on 11 June 1908, aged only 16. At that age he would not have been sent into a combat area, however, he may well have lied about his age - in his entry in the 1911 census, when he was serving with the 1st Battalion Royal Berkshire Regiment at Dover Castle, his age is shown as 21 – when he was, in fact, two years younger. He would have been discharged to the Reserve before war broke out in 1914 (a typical enlistment was for 12 years, five with the colours and seven in the Reserve). As the Reserve was mobilised immediately war was declared he would, in any case have been in uniform within days. This can be seen to be the case for he was with the 1st Battalion when it crossed to France on 13 August 1914, only nine days after the declaration of war. With the 1st Battalion he would have taken part in a number of actions, from the initial encounter with the Germans at Mons, through the retreat to the Marne and the subsequent advance and establishment of the trench lines that typify the Great War on the Western Front. In 1915 Henry took part in the battles at La Bassée and Neuve Chappelle and was wounded on 22 December 1915 when the battalion took over a series of trenches at Cambrin, a French village between Neuve Chappelle and Loos. His wound earned him a trip home and he was able to visit his family for the last time on 9 February 1916. Henry returned to his unit a few days later and was wounded again on 1 March 1916 while the battalion was in trenches near Souchez. This time there was to be no trip home; he died of his wounds four days later on 5 March 1916. He died at a Casualty Clearing Station (a forward hospital) at Lillers about 22 miles north-east of Souchez. At that time both the 6th and 58th Casualty Clearing Stations were at Lillers; it is not known which was treating Henry. He was buried in grave IV.E.31 in the Lillers Communal Cemetery (the local town graveyard). The ill-fated news has been received by Mr and Mrs Breach, of 13, Victoria-street, Victoria Park, Newbury, of the death of their son, Pte H Breach, of the 1st Royal Berks Regiment, and the age of 23. The deceased enrolled on the announcement of hostilities in August, 1914, and left in the following month with the British Expeditionary Force for France, going through the battles of Mons, La Bassé, Neuve Chapelle and others. He returned home for a seven days leave on August 10th, 1915. Having been slightly wounded on the 22nd December, he was allowed another opportunity of visiting his home on the 9th February. The rest proved beneficial and he returned to the firing line, but was wounded on the 1st of March, and died on the 5th, being buried in the churchyard at Lillers. The death of their much-loved son causes a cloud of sadness to rest upon the parents and other members of the family, but they have the satisfaction of knowing no one could be a braver soldier and more loyal an Englishman. Henry's name on Newbury War Memorial - immediately above his brother Frederick. Locally Henry is remembered on the Newbury Town War Memorial, the memorial board and roll of honour in St Nicolas Church, Newbury, and the Thatcham War Memorial. His younger brother, Frederick served in the same battalion and died a few months later during the Battle of the Somme. Frederick is remembered on the same memorials as his brother and also the memorial board in St Mary’s Church, Thatcham. It is not clear why Henry was omitted from this memorial, though it appears that his connection with Thatcham was less than that of Frederick, who went back to live and work their childhood parish. Their mother Ada must have been shattered by the loss of both of her sons but more bad news was to follow; her cousin Harry Denness (son of her uncle, Edmund) died in December 1917, also serving with the 1st Battalion, Royal Berks; and her nephew Godfrey Denness (son of her brother Thomas) died in August 1917 while serving with the 15th Battalion, Hampshire Regiment. 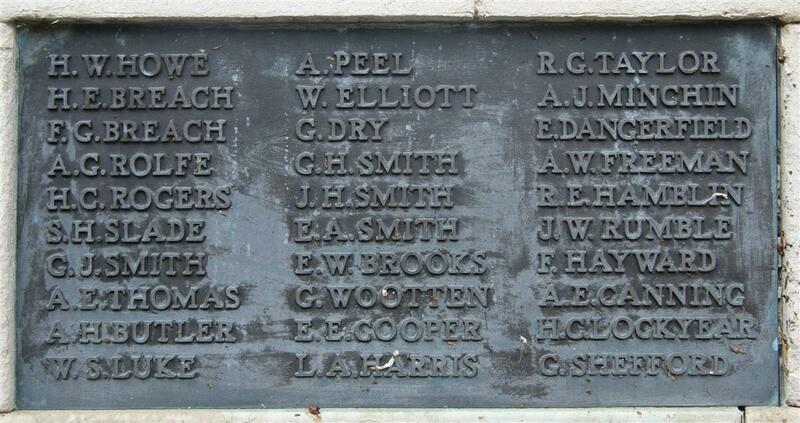 Both are remembered on the same Thatcham memorials as Frederick Breach.